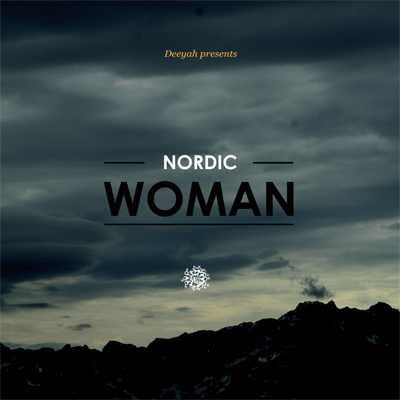 Nordic Woman is a compilation album created by Norwegian-Pakistani/Afghan music producer and activist Deeyah featuring female artists from Norway, Sweden, Denmark, Finland and Iceland who draw their inspiration from the various and distinctive styles of traditional Nordic music. Nordic Woman is the first music collection in an ongoing WOMAN series dedicated to celebrating women’s voices and musical heritage from around the world. Each album, Deeyah explains, is a journey through traditional music forms as expressed through women’s voices and women’s artistry, and is an exploration of women’s experiences and circumstances, drawing attention to women’s position in the world today, their accomplishments, struggles and the barriers they still face. The artists featured on the Nordic Woman album are Lena Willemark, Mari Boine, Annbjørg Lien, Bára Grímsdóttir, Tuva Livsdatter Syvertsen, Suden Aika, Valravn, Unni Løvlid, Kirsten Bråten Berg, Adjágas, Ragga Gröndal & The Icelandic Folk Ensemble, Phønix, MeNaiset, Garmarna, Heiða Árnadóttir, SUO, Ranarim and Tone Hulbækmo. Produced in collaboration with Grappa Musikkforlag, the foremost independent music company in Norway, Nordic Woman is the debut production from Deeyah’s own Fuuse Mousiqi, a music company with a social conscience, borne out of the union of her two deepest passions – music and activism. As well as being an acclaimed music producer, Deeyah is a prize-winning activist, well-known for her outspoken support for non-violence, women’s rights and freedom of expression. A classically trained singer from the age of seven, Deeyah has since broadened her creative expression into film-making and digital media initiatives, all underwritten by a passionate commitment to human rights and social activism. ‘Women’s voices, and women’s experiences, remain crucial to the continued progression towards full equality in all societies. The WOMAN series is my way of honouring and celebrating women and a personal voyage through the indigenous and traditional music of their lands’ explains Deeyah.